Superior Sound Quality. 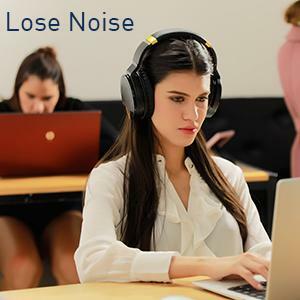 The superior sound quality of the Headphones is 25% stronger than that of our earlier E7 model. The 100dB give a deep, powerful, and crisp sound -- making your overall listening experience just that much better. Upgraded Soft Ear Cushions. The over-ear cushions on the Headphones are designed with a 90° rotation axis to help the headphones fit snugly to your head. Our new lightweight cushion material features magnetic absorption, which helps improve comfort and sound quality over long periods of time. Built-in Microphone and Bluetooth. Provides you with a high-quality microphone—making calls with these headphones just that much better. The Bluetooth function supplements this nicely with the ability to detach yourself from wires, giving you the ability to make hands-free calls. Use the buttons on the headphones to turn the volume up/down or to skip/rewind a song. Stable Battery Life. 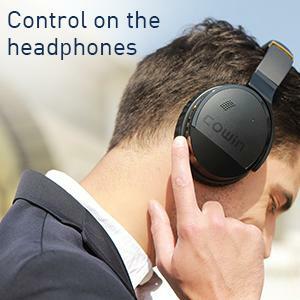 COWIN's Headphones headphones have a rechargeable 545mAh battery that, with ANC or Bluetooth on, has a 20-hour life to it—providing you with almost a full day of listening! 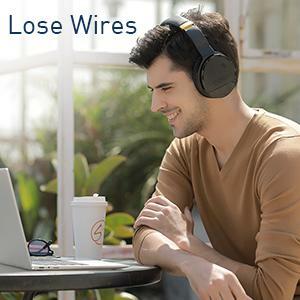 Purchasing the headphones provides you with an 18-month warranty and a friendly customer service staff that will get back to you as soon as possible if you experience any problems. Foldable and Portable Design. This foldable headphones can be fold down, Collapsible design for portability makes the headphones easy to put into your package and take along anywhere. Widely Applicability. 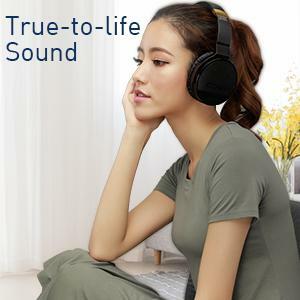 These incredible headphones support TF card mode.You can use a TF/Micro SD card (under32GB).TF card are not included.Microphone with high integrity ,compatible with MP3, MP4, PC,PCD,DVD,most smartphone.cell phones, tablets, PC, laptops, Mac and more. Foldable,Bluetooth 4.1,TF Card,Free Hands Phone Call etc. Foldable design makes it convenient for you to store and carry around. Free yourself from wires and connect easily to your devices with easy and stable Bluetooth pairing. Support wired mode by plugging in the included audio cable when the battery is powered off. Support wired mode by plugging in the included audio cable when the battery is powered off. Fully enjoy your music with up to 7 hours of long playing time after fully charged. 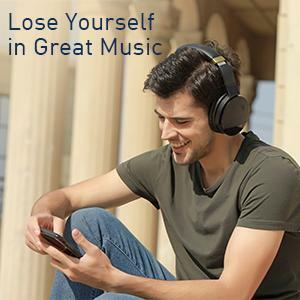 Fully enjoy your music with up to 7 hours of long playing time after fully charged. ●In case of that and to get both audio and wearing comfort, please take off the headphone every 1-2 hours to get your ears relax and protect them from lasting muggy environment in use. ●The microphone only works in the wireless mode. ●please keep the headset in dry and cool environment as the ear cushion is made of memory-protein materials.